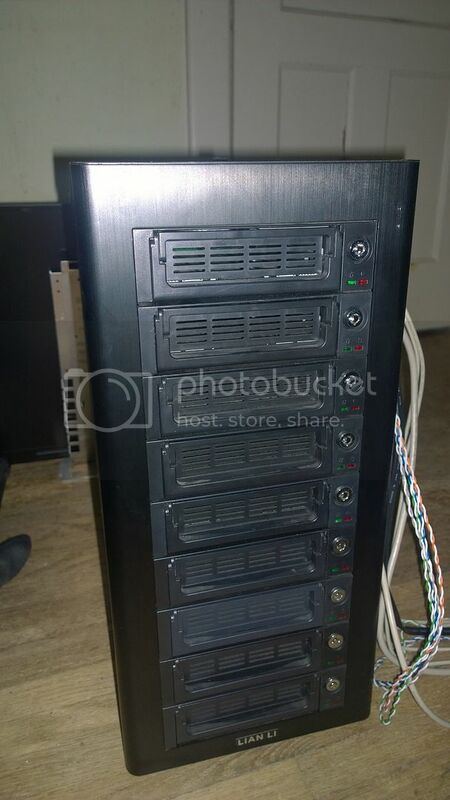 Grabbed this Lian-Li server case with 9 front load SATA drive bays for $80. Was a good deal considering the case retailed at $180 and each drive bay was an additional $15-$20. I plan on rebuilding my FreeNAS server but with a little better quality parts, I'll post the list later on. Last one lasted 6 years of almost non-stop use with a crappy P4 and 256Mb RAM, hoping for better this time, if anything the case will provide much more convenience for swapping drives. By the way, would you happen to have a few "Toasted Towers" for sale? If you do, let me know how much you want for them. If I can afford them, I can get them shipped via Purolator, probably at no charge to you, because my Roommate works for them.